Holly White graduates with distinction! Holly White, Newfoundland and Labrador's first Rotary International Peace Fellow, spoke about her experience over the last year and a half at the University of Bradford's Rotary Peace Centre in West Yorkshire, United Kingdom and her Applied Field Experience this summer at the Migration Research Centre at Koc University in Istanbul, Turkey. The Rotary International Peace Fellowship includes tuition at one of the Peace Centres, along with enriching co-curricular experiences related to peace, conflict resolution, reconciliation and non-violence. She completed her Master of Arts in Peace, Conflict and Development during her Fellowship. Holly is a former Group Study Exchange participant (2009 to Japan) and one of the inaugural recipients of the St. John’s Northwest Aidan Maloney Emerging Professional Award for Vocational and Community Service . 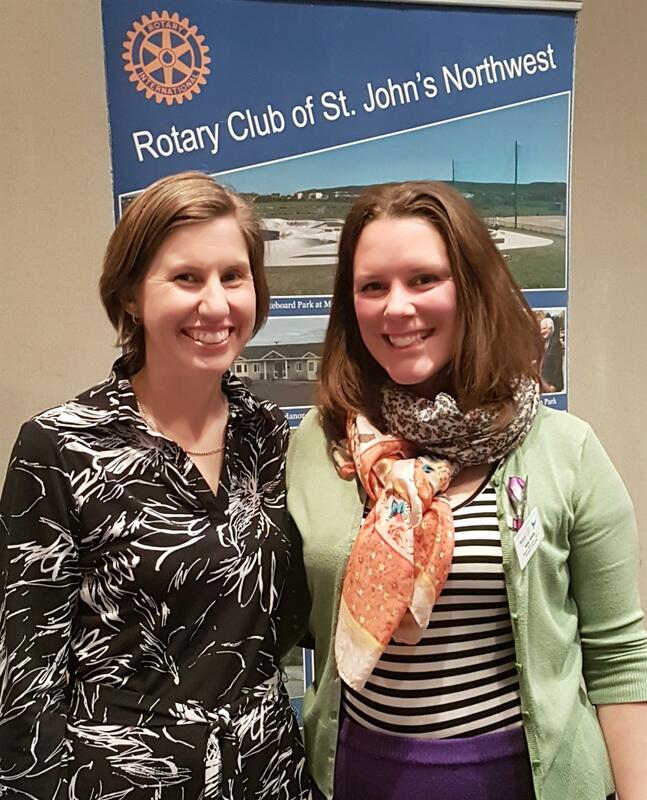 Her Rotary Peace Fellowship was proudly endorsed by the Rotary Club of St. John's Northwest during PP Jillian's year as president. Holly challenges Rotarians to think about our own "Path to Peace" and steps we can take to sustain peace in our community. Applications are now being accepted for Peace Fellowships starting in 2019. Find out more about this exciting Rotary opportunity!